Pure-play data center REIT Keppel DC REIT reported on Tuesday that its net property income for the third quarter rose 33.4 percent on-year to S$43.04 million after the acquisition of three facilities. Keppel Infrastructure Trust said on Tuesday that it swung to a net loss after tax of S$420,000 in the third quarter, from a net profit after tax of S$6.37 million in the year-earlier period amid a hit from a service outage at Basslink, its electricity interconnector in Australia. Troubled commodity trader Noble and “New Noble,” which will be its post-restructuring entity, on Tuesday said they launched an offer to exchange Noble’s US$400 million worth of 6 percent perpetual capital securities for US$25 million in 2.5 percent perpetual capital securities to be issued by New Noble. Holders of the existing securities will be able to exchange each US$200,000 in principal for US$12,500 in principal of the new securities, it said. Noble published a notice to convene a meeting of the existing securities holders, with a first meeting planned for 7 November expected to be adjouned until 22 November to comply with U.S. securities rules. But it noted that the exchange offer has already received the support of holders representing around 42.9 percent of the aggregate principal of the existing securities. At least 75 percent of the persons voting must pass the resolution, it said. “If the proposed restructuring does not complete and the directors of the group are required to put the group into liquidation, existing securities holders would very likely receive nothing in a liquidation,” it said. Ornamental and edible fish dealer Qian Hu said on Tuesday that its net profit for the third quarter rose 23.6 percent on-year to S$175,000, despite a drop in revenue, blamed in part on the World Cup, amid higher margins. Keppel Infrastructure Trust on Tuesday confirmed its participation in a sale process for Ixom, a manufacturer and distributor of essential water treatment chemicals. That was in response to media reports on its potential interest, it said in a filing to SGX on Tuesday. “There is no certainty or assurance that a transaction will materialize,” it said. Ixom owns an infrastructure network including chlor-alkali plants, import and storage terminals and distribution assets, the filing said. Lionel Chua will cease to be chief financial officer of Keppel Infrastructure Trust’s manager, Keppel Infrastructure Fund Management, effective 31 October, it said in a filing to SGX after the market close on Tuesday. Chua, age 46, left to pursue other opportunities, the filing said. Eric Ng, vice president (finance) of KIFM, will assume the role of head of finance and take over Chua’s responsibilities, it said. Cache Logistics Trust’s manager, ARA Trust Management (Cache), said on Tuesday that it entered an agreement with DBS Bank to refinance part of its existing Singapore-dollar loan facilities into a new 5.5-year S$265 million unsecured debt facility, comprising a S$200 million term loan and a committed revolving credit facility of S$65 million. Due to the refinancing, around 84 percent of Cache’s total borrowing and 88 percent of its property portfolio will become unencumbered, it said. 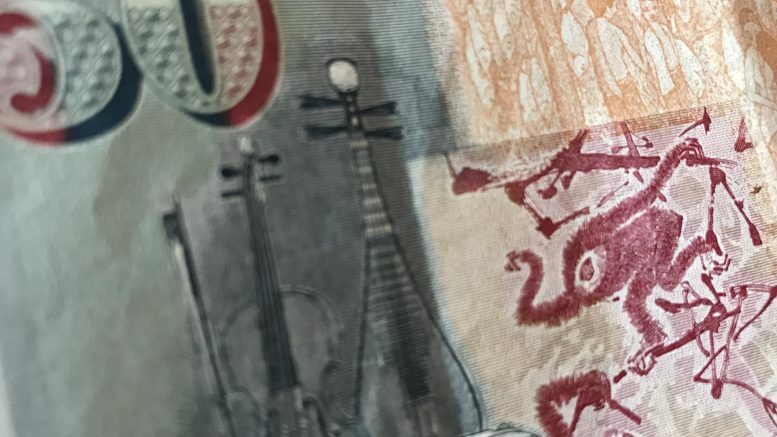 Its weighted average debt expiry will lengthen to 4.1 years from 2.2 years at 30 September, with no refinancing requirements for Singapore-dollar loan facilities until the second half of 2021, it said. The REIT will also see savings of around 0.26 percent per annum in its interest margin, it said. PACC Offshore Services Holdings, or POSH, said on Tuesday that it had recovered a S$3.43 million sum from Kensteel Engineering after Singapore’s High Court ruled in the company’s favor in a lawsuit in August. POSH noted that in 2015, it had entered a deal to purchase a Singapore property, subject approval from Jurong Town Corp. (JTC). When JTC rejected the application, POSH sought the refund of its deposit under the agreement, but Kensteel claimed a total amount of S$30.52 million, it said, adding that it contested the claim and counterclaimed. Jiutian Chemical issued a profit warning after the market close on Tuesday, said it expected to report a net loss for the third quarter. “The losses are mainly due to decline in profit margins resulted from a substantial increase in cost of raw materials, coupled with the low production level of the sodium hydrosulfite facility arising from strict industry-wide environmental controls and poor product prices,” the company said in a filing to SGX. The results are expected to be announced before or on 14 November, it said. BreadTalk said on Tuesday that its 90 percent-owned indirect subsidiary BTG-Pindao Venture incorporated a joint venture company, BTG-Song Fa-Pindao Venture, in Singapore. The joint venture company will be 90 percent held by BTG-Pindao and have issued and paid-up capital of S$3 million, it said in a filing to SGX after the market close on Tuesday. BreadTalk’s equity investment will be funded through internal resources, it said. BTG-Song Fa-Pindao will principally be engaged as a restaurant selling prepared food and drinks and as a holding company, it said. Noble Group said on Tuesday that Red March, a wholly owned dormant subsidiary incorporated in the British Virgin Islands, appointed a liquidator on Tuesday. The voluntary liquidation isn’t expected to have a material impact on Noble’s net tangible assets or earnings per share for the current financial year, it said in a filing to SGX after the market close on Tuesday.